← We’re having a beautiful baby girl! I’ve recently picked up a small obsession with blue mason jars, and am slowly noticing more and more of them showing up at my house. Currently my rental inventory is around 12–but I expect it to be at least twice that large with the onslaught of estate and garage sales this spring. Here are some fun inspirations I’ve been eying for them for around the house and for some fun events later on in the year. Such cute ideas to share! 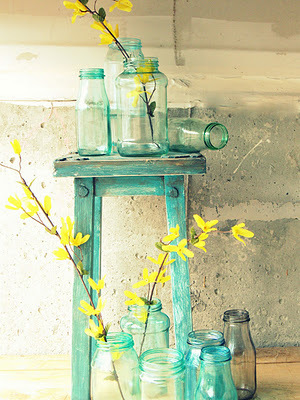 Above images via: Nautical Cottage Blog, the Casabella Project & Traci Thorson Photography. 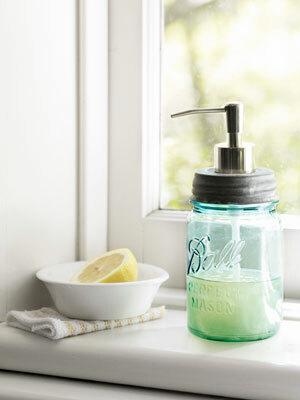 Above image via Post Road Vintage ~ Heather has some amazing mason jar new uses and creations. Her site is definately worth checking out! clever work and coverage! Keep up the great works guys I’ve included you guys to my personal blogroll. the event that I really work with many of your own points? Hi would you mind sharing which blog platform you’re using? I’m looking to start my own blog in the near future but I’m having a tough time making a decision between BlogEngine/Wordpress/B2evolution and Drupal. The reason I ask is because your layout seems different then most blogs and I’m looking for something unique. Hi, the provider is WordPress and they have a lot of different layouts, many of them are free. a massive amount work? I’ve absolutely no understanding of computer programming however I had been hoping to start my own blog soon. Anyhow, should you have any suggestions or tips for new blog owners please share. I know this is off subject nevertheless I just had to ask. Kudos! Hi! Thanks 🙂 It really isn’t a lot of work actually. The blogs here on wordpress make it super easy. My best tip would be to just dive in! Once you poke around with it for a while you should get the hang of it. I’m sure they also have tutorials you could watch online as well. Good luck to you! Darnit! I hate it when that happens 🙂 Thanks for the comment nonetheless. Reblogged this on MM Armidale NSW.